What if Ford sold no cars, no SUVs, no Rangers or Transit Connects or crossovers? Strip away all else and leave Ford with the F-Series, let’s say. Well, Ford wouldn’t fare too badly. 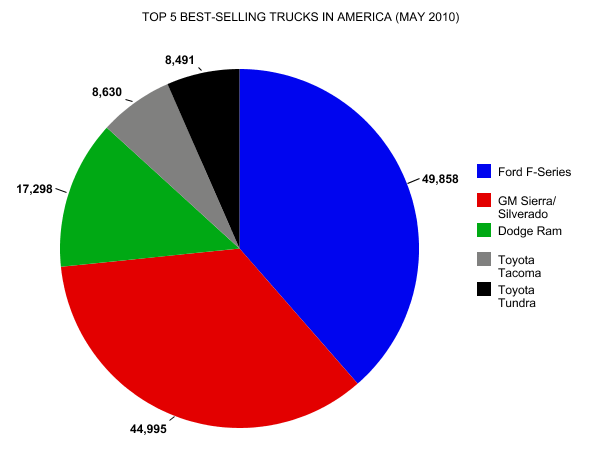 With 49,858 sales in America in May 2010, the Ford F-Series sold more than all of Hyundai, all of GMC (the “truck specialist”), and more than the combined efforts of Volkswagen and Mercedes-Benz. Without the Ford Mustang or Fusion or Focus, the Ford F-Series would have made Ford America’s 6th-most popular auto brand in May. 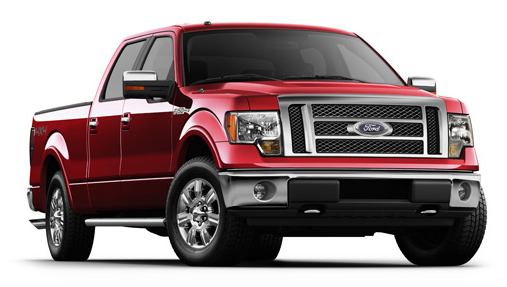 Import competitors haven’t come anywhere close to the Ford F-150 and its heavy duty compatriots. The Toyota Tundra wasn’t able to grab 9,000 sales in May; the Nissan Titan’s total barely cracked 2,000.